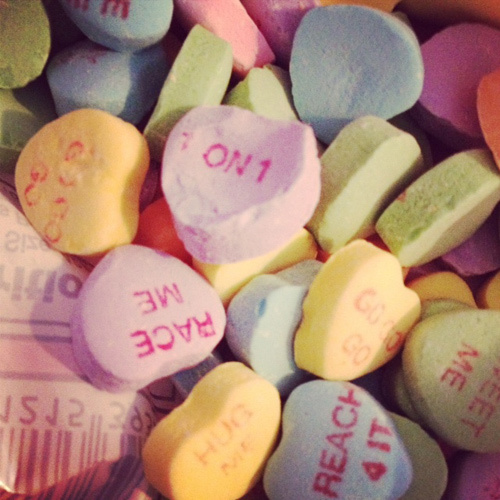 Is it just me, or do Conversation Hearts taste better? Once uniformly mute and chalky, now they have distinct and punchy flavors. I am happy with the change even though I was fine with them before too. “Reach for It”? “1 on 1”? “Race Me”? What happened to I Love You and Hug Me? Oh, and forget all my praise if you have a total reasonable aversion to artificial flavoring. If you know me, you know I love birthday cake. And as it’s my birthday week, Jim brought home a birthday cake cupcake from Molly’s Cupcakes. 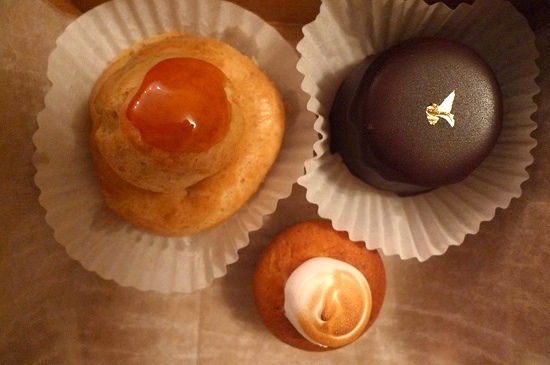 I know the city’s over run with cupcakes, but Molly’s French buttercream – that balances sugary and buttery to perfection and amazingly moist cake is note worthy. 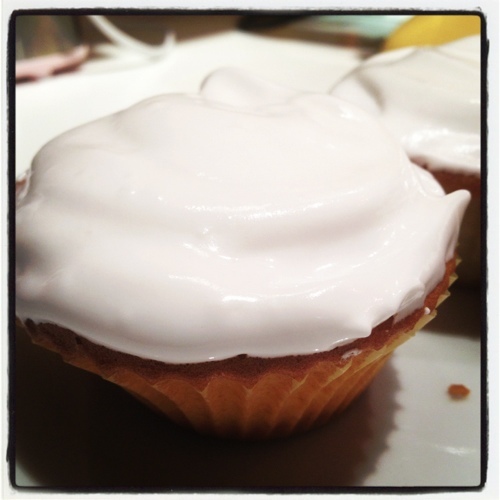 It’s a welcome change to the oft copied Magnolia staple of overly sugary frosting or any cupcake you shell out four bucks for only to find a stale cake under the frosting. 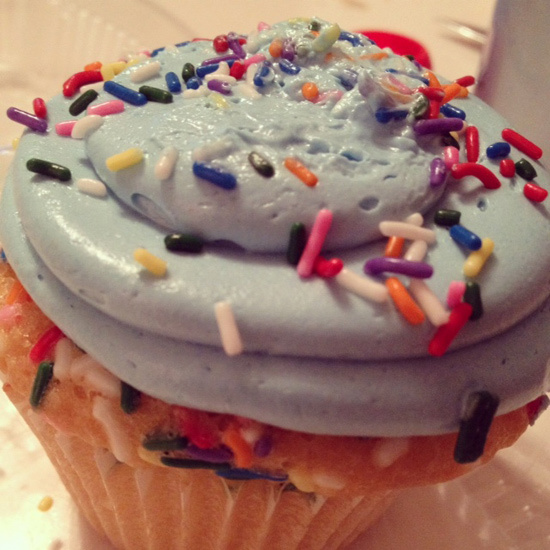 I dare say, this Cake Batter cupcake could be the best cupcake in Manhattan. It takes what is so good about boxed cakes – the moistness, the familiar buttery taste but elevates it with the freshness that only comes with goodies made from scratch. Jim had a pumpkin spice that was equally moist and yummy, just not as suited to my taste. Interestingly, Molly is not the chef, but the chef’s beloved third grade teacher. A portion of all their profits go to local schools and if it means anything to you, they won a Cupcake War too. 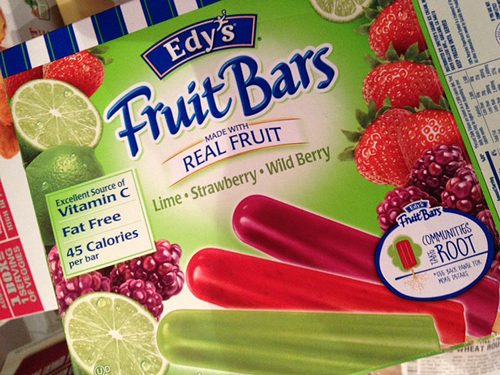 Get ready to make your sweet tooth sing! 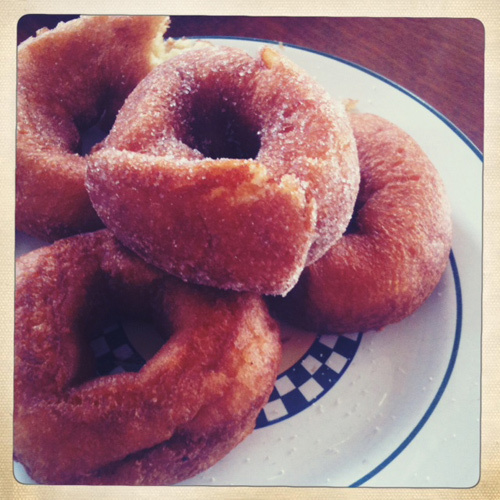 Donuts, truffles, ice cream, macaroons, and pumpkin bread, hooray! French macaroons are having their day in the sun. With all the new spots specializing in them, one might even say the kind of obnoxious phrase “they’re the new cupcakes”. After sampling Little Oven I stumbled across Bisous Ciao in the lower east side, a formal affair with gallery lighting, black gift boxes and gloved cookie servers who were surely slash models. It seemed set up to really appeal to the Soho visitor, but I was compelled by the promise of exotic macaroon flavors, most notably Violet, a candy flavor I adore (but is certainly an acquired taste). In my recent Little Oven review I said it’s what’s inside that counts and Bisous Ciao boasts creamy yumminess. But I have to say, they fall a little short on the cookie that was too soft and lacked that macaroon flaky crunch. 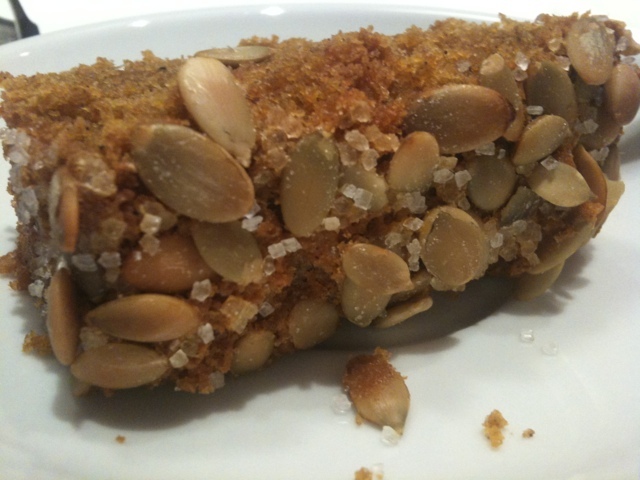 I’ll be honest, when Mike brought this seed crusted loaf to dinner last night, I didn’t have the highest hopes. It looked like it might taste too healthy. But like most things from Eataly it impressed. In fact, it is possibly one of the best pumpkin breads I’ve ever had. I’m itching to get more since it’s perfect for these brisk autumn afternoons and would be so comforting with cider or spiced tea. 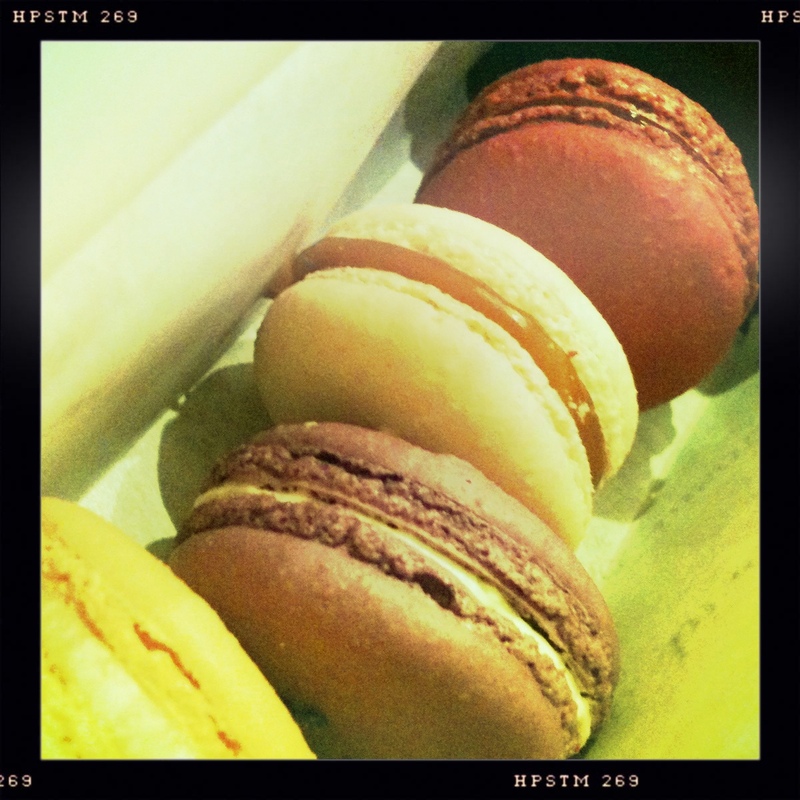 Oh, the macaroons at Little Oven are good. Really good. So good I almost forgot about that time I trekked up there with a 20 lb baby on me only to find it closed during their listed hours. 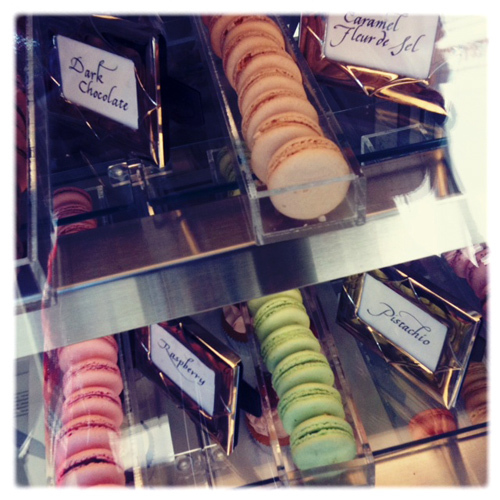 The flavors are creative – the Earl Grey and seasonal Spiced Pear were especially notable. The cookie is great but it’s the inside that counts and there’s is rich and wonderful. Their pastries and cakes look equally yummy. A sign for homemade candy bars drew Jim and I back into Smorgasburg just as we were about to leave only slightly on the side of gluttony. How could we resist crunchy spongey honeycomb dipped in dark chocolate? I’ve seen Liddabit candies at various shops around town but this was the first I’ve tried. A spectacular first impression. I only wish more came in a bag. How, you may wonder, did I end up eating a slice of Julia’s Best Banana Bread from a green beach side shack in Hawaii? No, there was no last minute flight to Maui to escape Irene but we are lucky enough to have a very generous neighbor with an exciting travel life. Julia boasts her bread is the best on the planet. It’s a bold statement but I’m not sure that I can disagree. The loaf is moist as can be and when coupled with a small glass of whole milk (which I probably haven’t had since I was a teenager), wow! Real late night (and again in the early morning) decadence. Robicelli’s adorable cupcakes in are popping up all over our neighborhood. 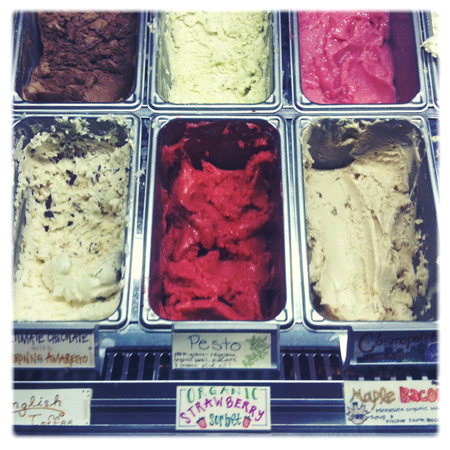 We’ve found them at Radish and Eastern District and can never say no to their interesting daily flavors. This pictured McFadden (Victorian lemonade cake and buttercream made with a splash of Pimm’s, hand candied lemon peel) was perfect for these warmer days. 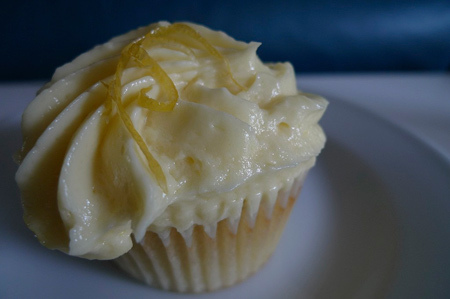 The buttercream lemon frosting was truly amazing, so light and fluffy and buttery! 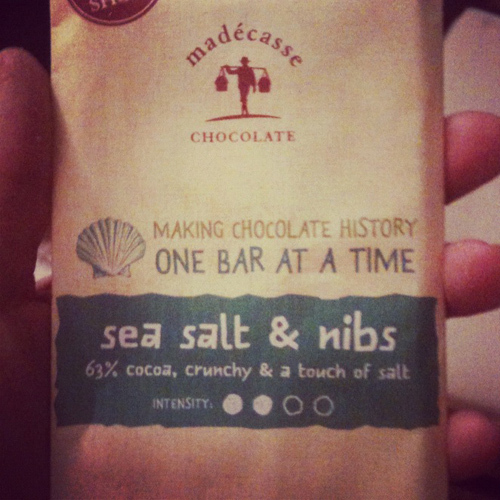 Their tumblr has the flavors of the day and the many places you can pick one up. 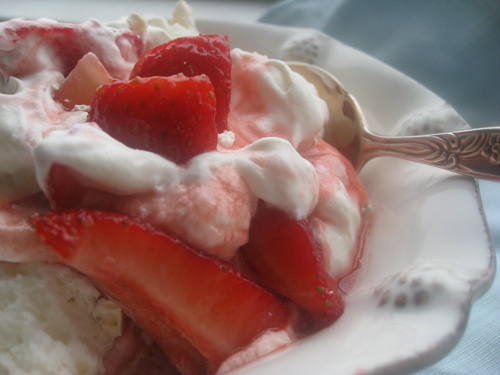 Eton Mess is a very simple English dessert made with strawberries, meringue and whipped cream which is served on the last Wednesday in may at Eton college at the “Fourth of June” picnic/cricket match with Winchester University. This recipe is what I fed my 3 year old daughter but you can also add port or balsamic vinegar or pomegranate juice. Some people add sugar, Heston Blumenthal makes his with bananas. The story behind the recipe is that a dog crashed into (or sat on) a picnic basket on the way to the picnic and it made a “mess”. My neighbor says its because of the way the dish looks. A third option in Wikipedia describes it as “a quantity of food”, particularly “a prepared dish of soft food” or “a mixture of ingredients cooked or eaten together”. Once you make the delicate meringues (which is not a good project with toddlers) the dish is really easy to assemble even with a toddler. 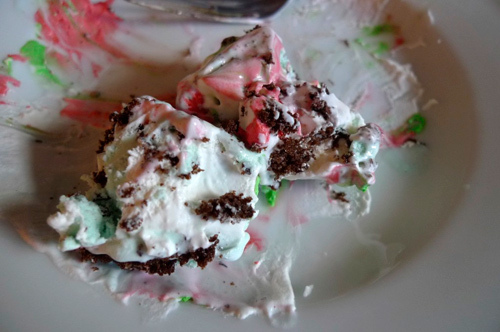 I whipped my own cream, my daughter crumbled the meringues, big pieces are better (dyed in pastel colors and decorated with dinosaur sprinkles) and those were mixed. and strawberries plopped on top. Forgot to take pics of ours, the photo is from My Best Days Ever.